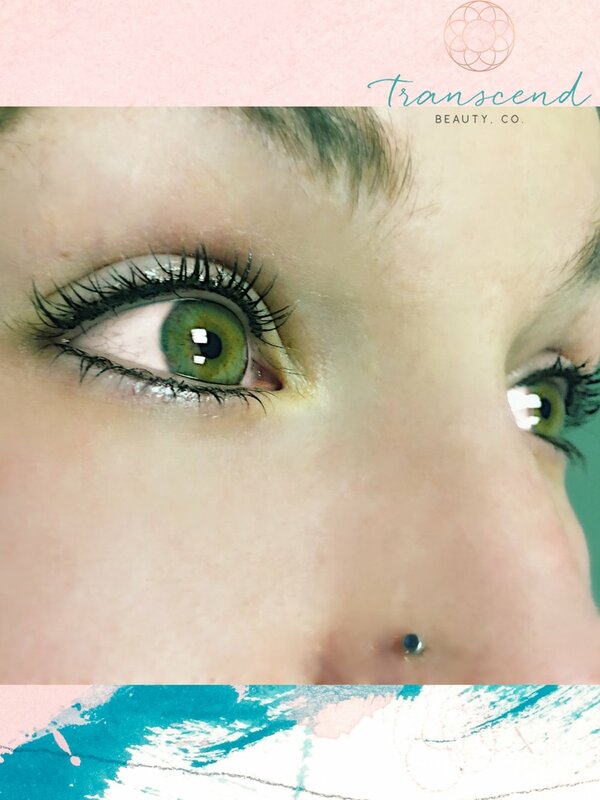 Menu — Transcend Beauty, Co.
・Classic eyelash extensions are the application of single extensions to individual natural eyelash. A Classic Full Set consists of 65-85 classic lash extensions applied per eye. ・Volume eyelash extensions are ultra fine lashes that are handmade into a fan and safely applied to the individual lash. Volume lashes are a great fit for clients wanting a more dramatic, fluffy look. ・Mega Volume eyelash extensions are the thinnest and fluffiest on the market, being only .03 mm in circumference. These lightweight extensions allow for individual 9D-18D handmade fans to be created, and safely adhered to a single natural lash without damage. Using the Mega Volume technique is a safe way of applying eyelash extensions, while creating fullest and fluffiest lash set available on the market today. ・5-8 days following previous fill with over 75% of lash extensions remaining. All grown out lashes are removed, new eyelash extensions are added to all of your regrowth. ・10-14 days following previous fill with over 50% of lash extensions remaining. All grown out lashes are removed, new eyelash extensions are added to all of your regrowth. ・18+ days following previous fill with over 30% of lash extensions remaining. All grown out lashes are removed, new eyelash extensions are added to all of your regrowth. ・ Touch up pricing and timing may vary, as this price is representative of touch-ups received on my own work. Touch-ups for work that is not my own may constitute new procedure pricing.